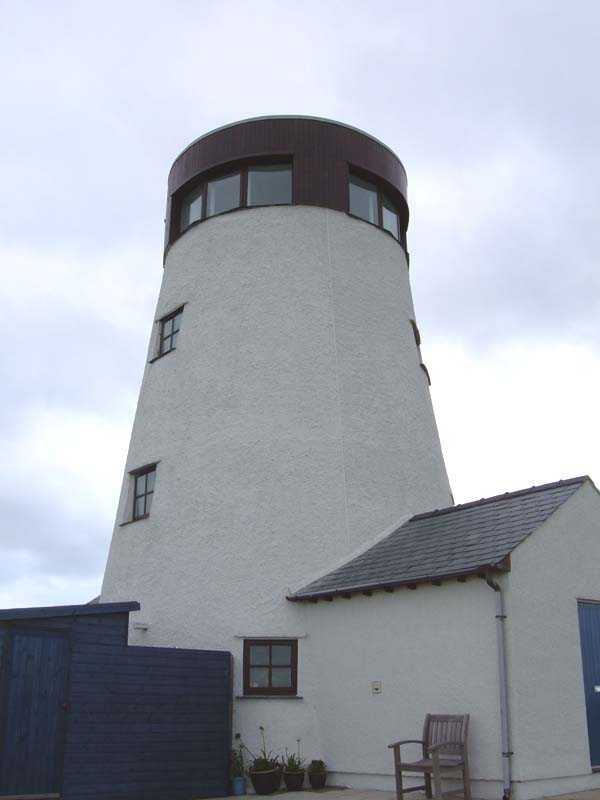 Trearddur Bay Windmill - Melin Stanley on the Isle of Anglesey (Ynys Môn) in North Wales. 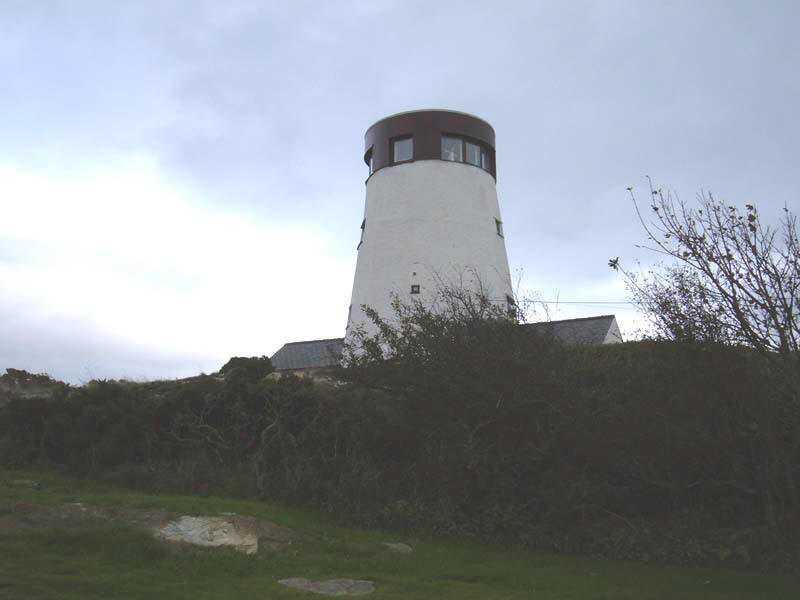 Trearddur Bay, Melin Stanley Windmill in 2009. 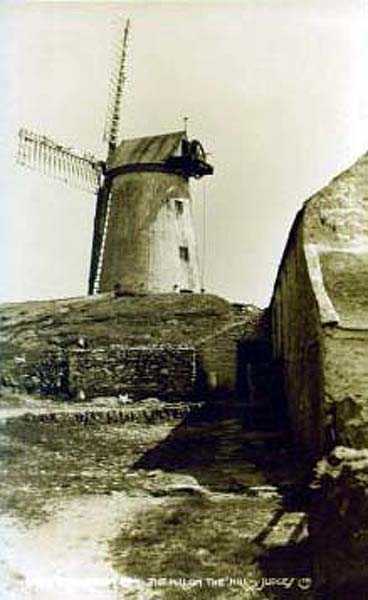 Anglesey, Trearddur Bay - The Stanley Windmill - right hand image in the 1930's. 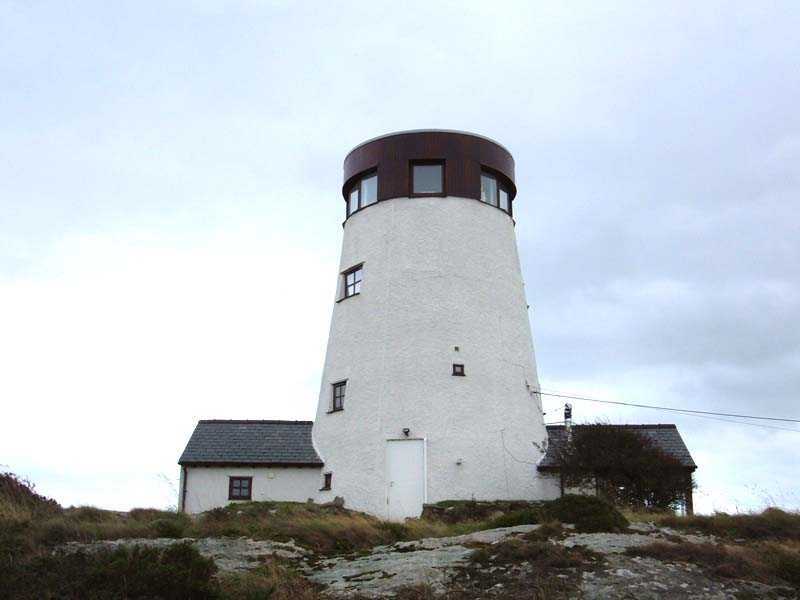 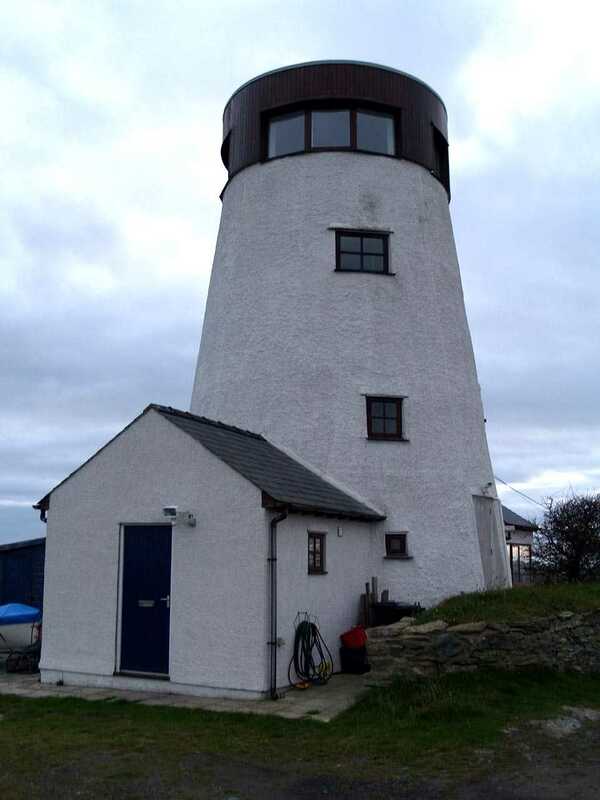 The windmill in Trearddur Bay known as Melin Stanly Windmill was built in 1827, and operated as a corn grinding mill. 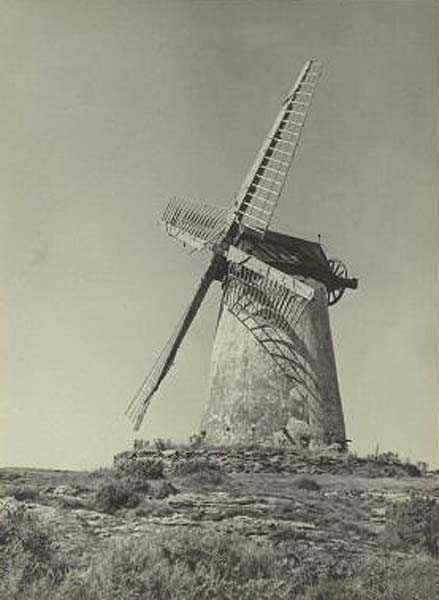 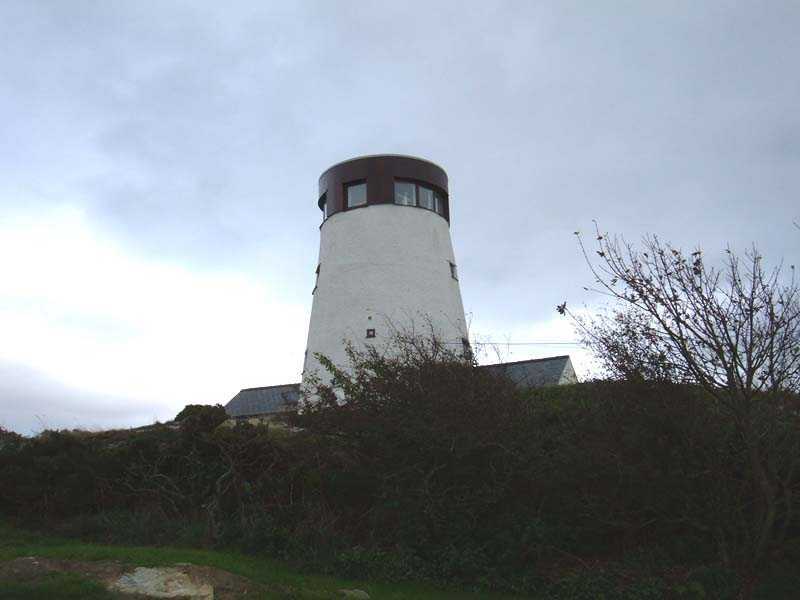 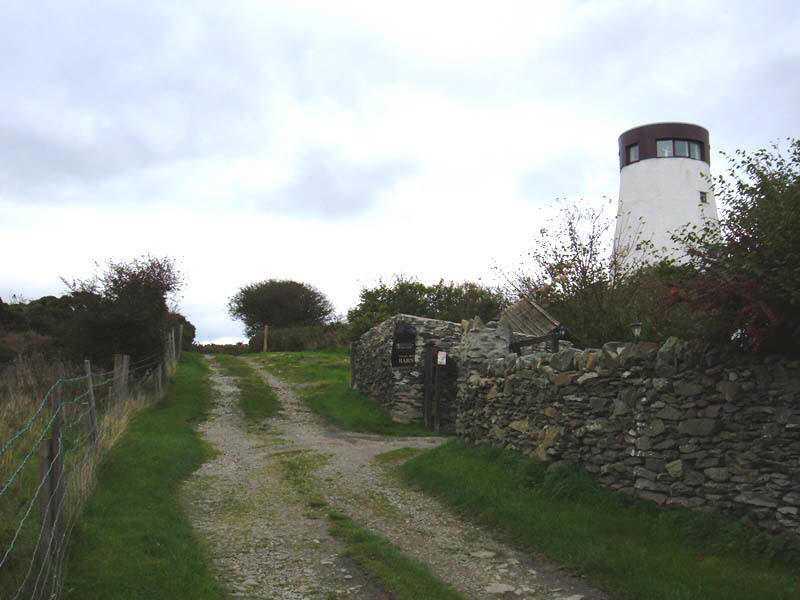 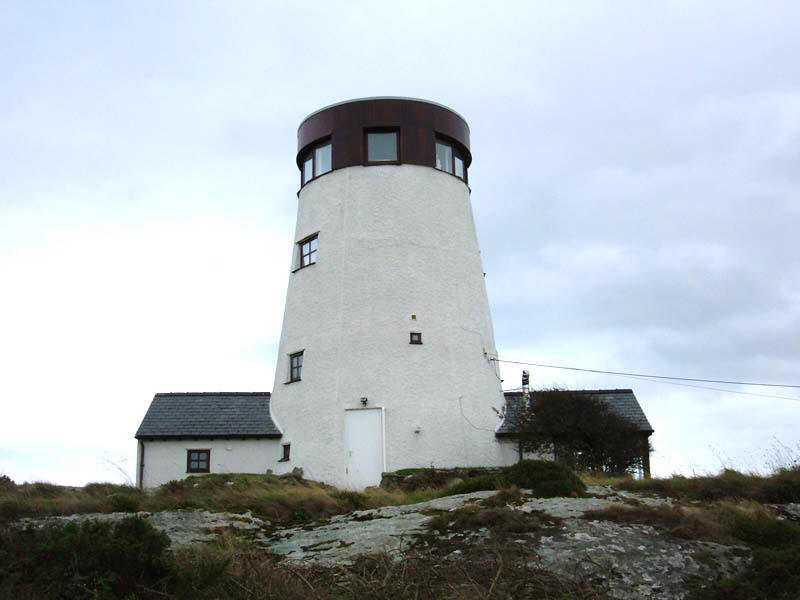 It came to the end of its' working life in 1938 as the last working windmill in Anglesey, after it suffered damage in a storm that rendered it structurally unsound.